The Royal Cornwall Hospital Trust Clinical School is a partnership between the Royal Cornwall Hospitals NHS Trust and the University of Plymouth. It exists to promote evidence-based practice and to grow and nurture clinically-focused non-medical research that enhances patient care. Increase research capacity, skills, and outputs within nursing, midwifery and allied health professions. Increase evidence-based practice activity, enhancing the translation of evidence into practice. Executive Dean, Faculty of Health and Human Sciences, University of Plymouth. Tristan Coombe, Lecturer University of Plymouth. The Clinical School at Royal Cornwall Hospitals NHS Trust offered a prize to stimulate interest and activity around systematic reviews. Zoe Cooper, Consultant Nurse for Safeguarding won the 2018 Clinical School JBI Systematic Review Prize. Zoe will be trained and supported to lead a JBI review. She will be looking at the impact of recent legislative changes in domestic abuse policy on older people. A cluster randomised, controlled feasibility study of a nurse-led, holistic assessment and care planning intervention for older people living with frailty in primary care. 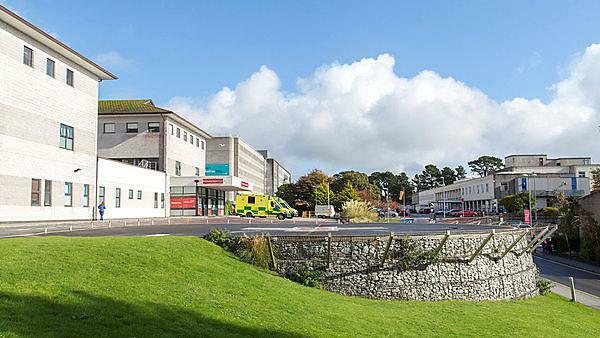 The University of Plymouth's Joanna Briggs Institute Centre of Clinical Excellence has awarded the Clinical School at Royal Cornwall Hospitals NHS Trust clinical partner status. This acknowledges the work clinical colleagues, affiliated to the Clinical School, have undertaken in systematic review activities to-date and their commitment share new knowledge and promote evidence based practice activities through workshops and implementation reviews. This formal partnership will further grow networking and researching activities between academic and clinical staff to benefit patients and service users. We hold regular monthly ‘drop-in-sessions’, are happy to visit team meetings or organise a 1-1 meeting to discuss your ideas. See the Royal Cornwall Hospitals NHS Trust - Clinical Schools page for more information.